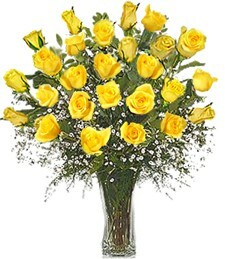 Illuminate the world with the luminous beauty of two-dozen yellow roses! Make a glowing statement full of warmth and lush radiance with this extravagant bouquet. A magnificent gift!